If all goes well I should be back on track for daily posts. In the past week or so the schedule got just a little out of hand – dental issues, full time job, care of an elderly parent, chasing photos for us as illustrations for the monthly column The Independent Thinker published by Cars & Parts magazine, and a situation with the church in Peach Springs would be the highlights. Woven into this somewhat chaotic routine were the more mundane, time consuming tasks that consume most of our days. 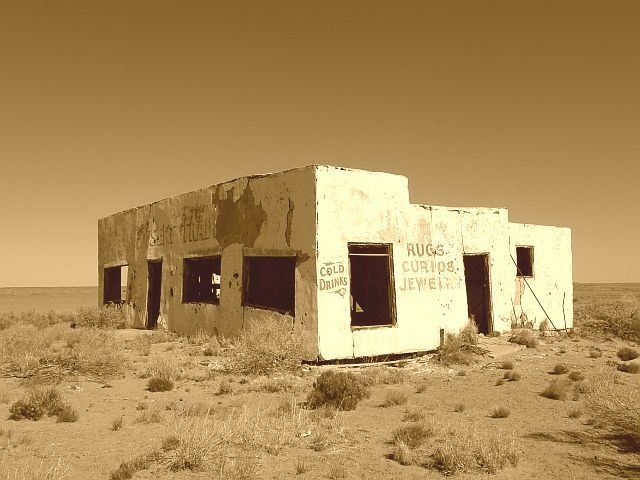 Meanwhile, I have been promoting Ghost Towns of the Southwesthttp://rcm.amazon.com/e/cm?t=1968adventurer&o=1&p=8&l=bpl&asins=0760332215&fc1=000000&IS2=1&lt1=_blank&m=amazon&lc1=0000FF&bc1=000000&bg1=FFFFFF&f=ifr, that in less than three months seems to be selling in numbers that exceed those of previous books written after two years of availability! At this rate the childhood dream of becoming a writer when I grow up may come to fruition. 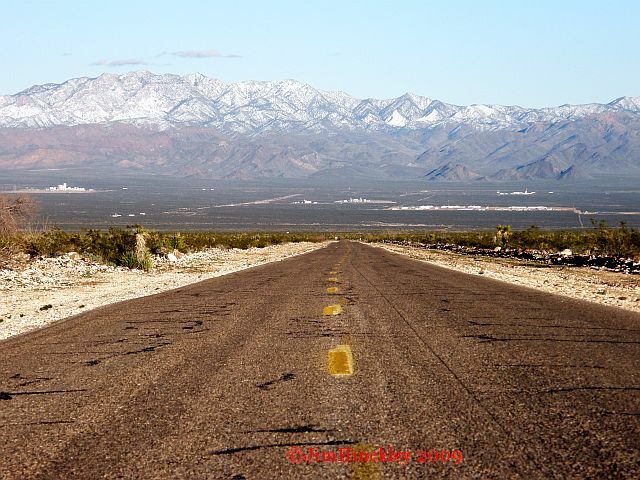 As I await the release of Greetings from Route 66, and the final edit for Ghost Towns of Route 66, the attention has centered on the new project – a Route 66 encyclopedia and atlas. My hope is this will be far more than a mere reference book. I want it to be historically accurate as well as relevant. I also want it to fuel the resurgent interest in the highway and be useful as a promotional tool for businesses along the highway such as Afton Station, the Wagon Wheel Motel, and Henry’s Rabbit Ranch. So, I composed this summary and am distributing it to businesses, associations, museums, and historic socieities along the highway. I am also sending it to international Route 66 associations to ensure a relevancy that can only be accomplished by including the perspective of the tourist from Europe, Australia, and Asia. Text and photography by Jim Hinckley, author of Ghost Towns of the Southwest, Backroads of Arizona, Route 66 Backroads, The Big Book of Car Culture, Ghost Towns of Route 66 (fall 2010), and contributor for the compilation Greetings from Route 66 (fall 2010). To ensure this work is historically correct, provides a comprehensive overview of Route 66, and is as current as possible, I am petitioning historic societies, museums, businesses, and Route 66 organizations for assistance in the form of suggestions for material to be included, contact information, historic information, and information pertaining to the acquisition of material to be used as illustrations. Biographies – concise biographical sketches of individuals that have played key roles in the roads history. Examples; Bob Waldmire, Cyrus Avery, Micahel Wallis, etc. Notable events that are directly associated with Route 66 or its predecessor auto trails such as the National Old Trails Highway or Ozark Trail. Examples; the Desert Classic automobile races 1908 – 1914, the Bunion Derby, etc. Predecessor highway history – the National Old Trails Highway, Ozark Trail, etc. Current businesses and their history – this category would be historic or new businesses such as Pops in Arcadia and Afton Station in Afton. Historic businesses now closed – examples for this category would include the Painted Desert Trading Post and Coral Court Motel. 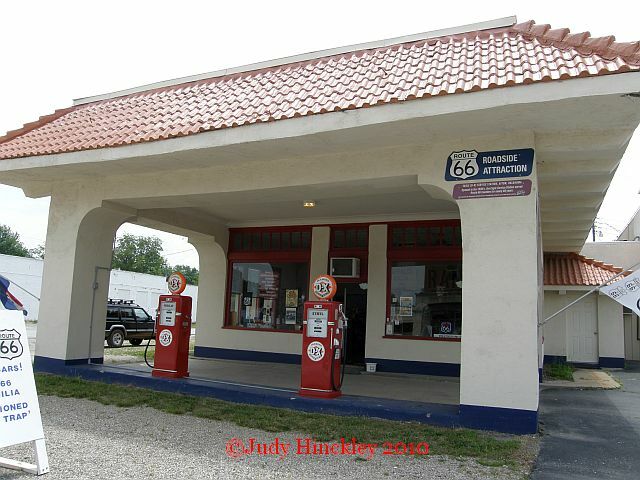 Route 66 entertainment – television shows and movies filmed on Route 66 or locations that were used in these films. Personal stories – short stories of personal experiences on Route 66 that will serve to illustrate its evolution.